Much has happened over the past few months, and I haven’t had the time I’d like to chronicle it on this blog, though I would like to catch up in the next few weeks. Bear with me. More will come soon. Today, though, I did want to quickly post a link to a film that is worth watching, Duniya Juyi Juyi. 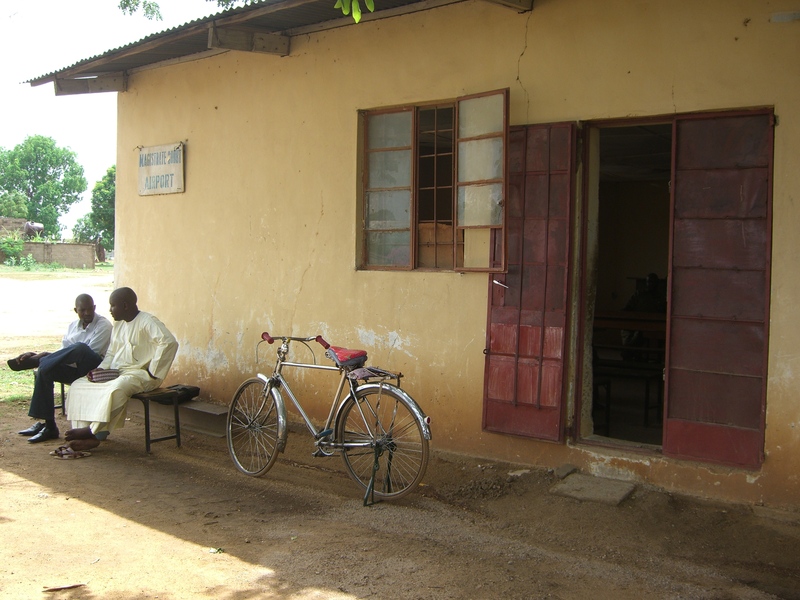 I just heard from my friend and colleague Hannah Hoechner, a PhD candidate at the University of Oxford who is doing research in Kano on the almajirai, Qur’anic students who often leave rural areas to study with urban teachers. Because so many of the boys end up begging on the streets with little oversight from their teachers, the almajiri system is often blamed on much of the violence in the north. Hannah, who interacted with many almajirai and their teachers, has a different perspective. 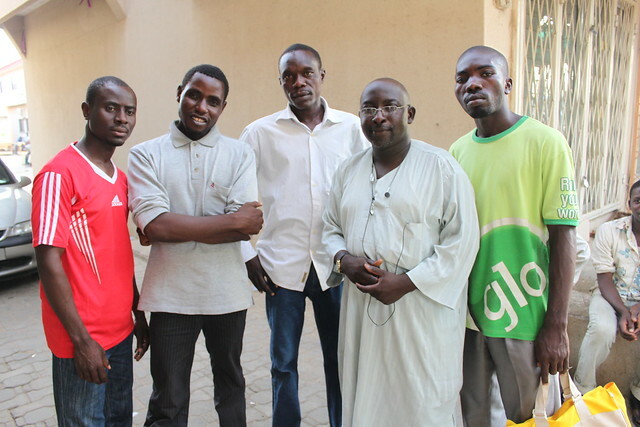 She was able to source funds from the Goethe Institut in Kano to help several of the almajiri boys she knows produce a film to tell their stories from their own perspective. 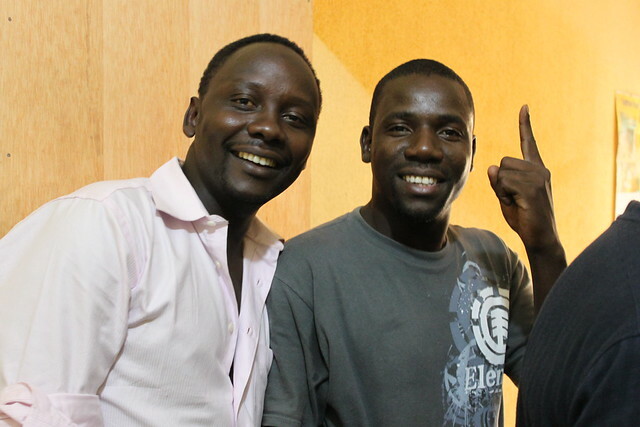 Kannywood filmmaker Nasiru B. Muhammad helped them develop their stories about their experiences into a ‘docudrama’ script, and then the boys directed, acted in, and shot the film themselves. 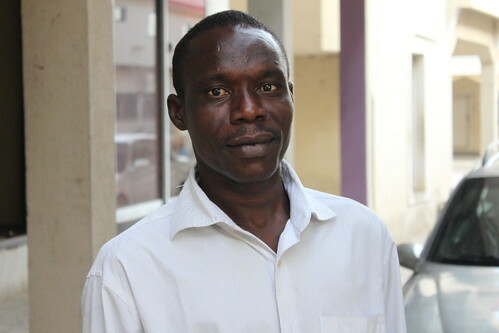 Kannywood editor Auwal Kabir Indabawa edited the film and seemed to provide a lot of support to the boys during the process of making the film. 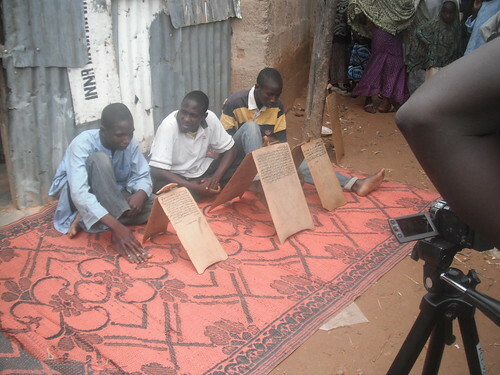 The film provides a unique look at the life of an almajiri through the eyes of the almajirai. “I don’t give to them,” a friend told me one of the first times I came to Kano and saw the young children begging with their small plastic bowls in traffic, in front of restaurants, hanging around offices. “I don’t like to encourage the system.” This was one of the first times I heard an explanation of the almajiri (disciple) system, in which young boys travel from mostly rural areas to attend Qur’anic schools in town, usually depending on contributions from the community or compensation for labour for food and clothing. The seeming incompatibility of the almajiri system and the “modern life” has meant there has been much public denunciation of the system. 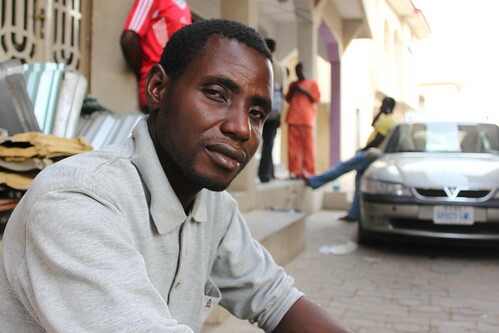 The almajirai are seen as the source of urban crime and ready recruits for sectarian violence. 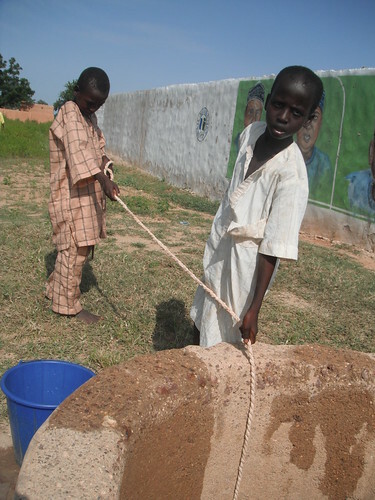 Little attention is paid to the voices of the almajirai themselves. This lack of representation has been addressed by a new docudrama Duniya Juyi Juyi (How Life Goes), which was directed, shot, and acted in by almajirai themselves. At the beginning the almajiri system is explained in the voice of one of the boys as we see the streets of Kano from their perspective. At the end the nine boys from the three different schools involved in the project, Abdullahi Yahaya Sa’ad (director), Buhari Murtala (assistant director), Auwalu Mahamud (location manager), Isma’il Abdullahi (welfare), Sadisu Salisu (camera), Muhammad Naziru Usman (assistant camera), Ikira Mukhtar (lead actor), Kabiru Idris (lighting), and Anas Ali (actor), introduce themselves and speak their messages directly to the audience. 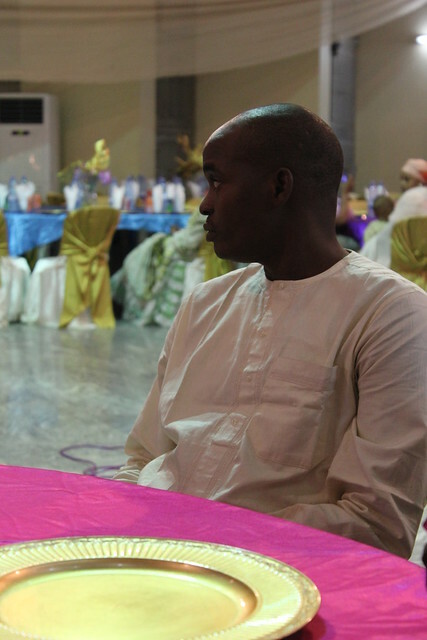 The drama enclosed within this documentary frame is a simple linear story about a young boy Aminu’s (Ikira Mukhtar) life from his father’s (Sani Garba S.K.) decision in the village to send him to the city for school because “it is difficult for a boy to study in front of his parents” to his introduction to the malam (Husaini Sule Koki) who will teach him the Qu’ran. 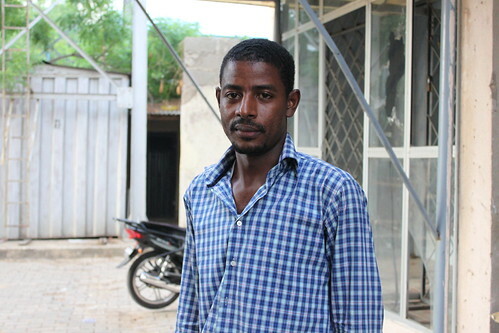 Aminu learns how to survive without the comforts of family, from finding a place to sleep, water for ablutions, the ever-present search for food, and the struggle to study while hungry, to settling into the life at school, being given domestic work by a housewife (Lubabatu Mudaki) and work in a shop by a shopkeeper (Mustapha Musty), and finally the happy completion of his studies. 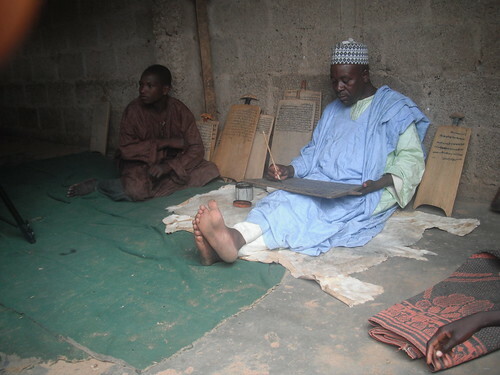 Although their hardships are highlighted here, this is a fairly positive portrayal of the life of an almajiri, presenting arguments about their own worth made by the boys themselves, all of whom are now in their teens but many of whom started their Qur’anic studies as young boys. The malam is rarely critiqued here. 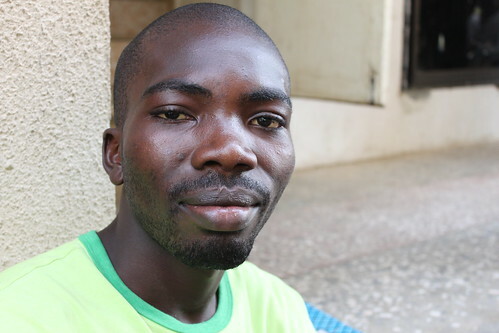 Though he threatens Aminu with a beating should he run away, he is a reasonable and kind man who puts up patiently with the many young boys in his care. The critique the boys make and the message they have are instead for the communities in which they live, to the people who assume they are thieves and rascals, those who sneeringly tell them their parents don’t love them, or those households who think of them only as nearly free labour and not as people. What I found most remarkable about the film was that although the boys were trained in filmmaking by Hausa film professionals and several Kannywood actors helped add polish to the film, the preproduction and production of the film was carried out by the almajirai themselves. The film medium becomes a powerful way to communicate their experiences to a larger audience. I attended the premier of the film on Thursday, 27 October, held at the Goethe Institut in Kano, the sponsor of the film. 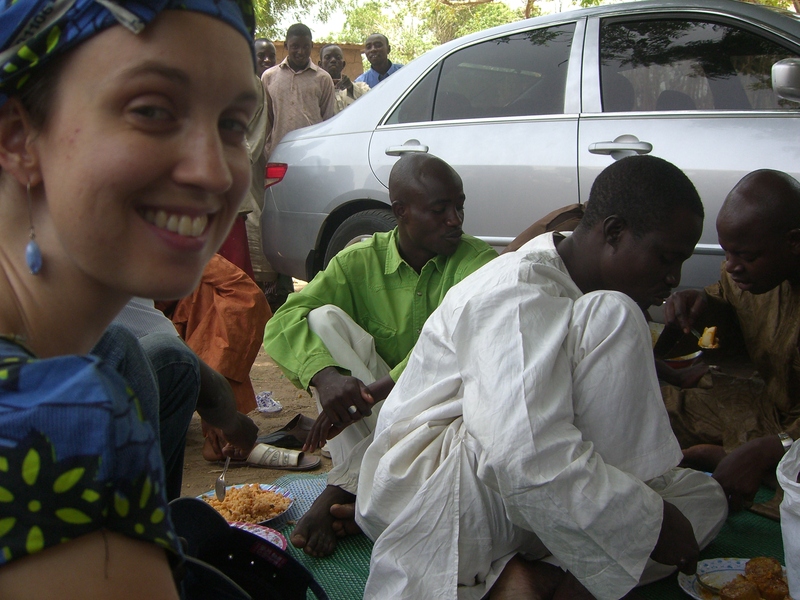 Arriving at the Institut around 3pm, I was given food by the almajirai and spoke with producer Hannah Hoechner, a German PhD candidate at Oxford University whose research on almajirai had inspired her to make a film in which almajirai could speak for themselves. The nine boys who worked on the project came from schools in Sharada, Sabuwar Kofa and Albasu. In Albasu, the malam chose from the oldest ones to participate in the project. 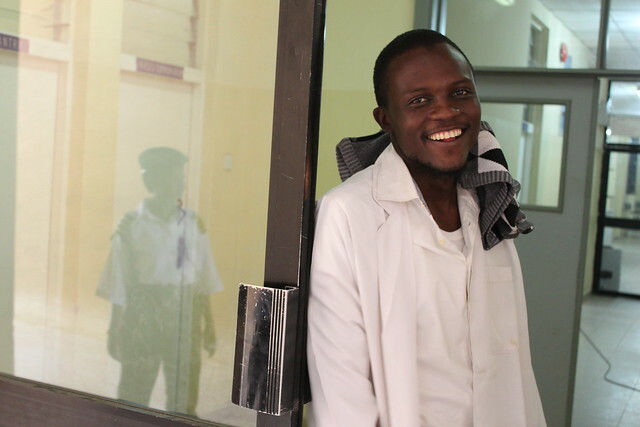 In Sabuwar Kofa, Hoechner chose those she knew best, and the boys from Sharada were those almajirai she taught English through the NGO, Child Almajiri Empowerment and Support Initiative. She approached Frank Roger of the Goethe Institut to fund the film and spoke warmly of his untiring encouragement. Although there were some fears from parents about the boys appearing in films, the malams were fully supportive of the project, not as a way for the boys to make money (the film was distributed for free rather than sold), but for them to tell their own stories. In the evening before the film was shown, a bus arrived from Albasu with several malams and dozens of their students. The malams sat on the front row of the crowded outdoor theatre and seemed to fully enjoy the show, laughing and nodding in appreciation as they saw their lives re-enacted on screen. 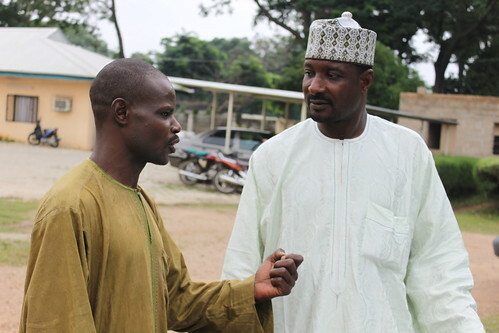 I was also struck by the presence of Kannywood professionals, who interacted kindly and easily with the almajirai. 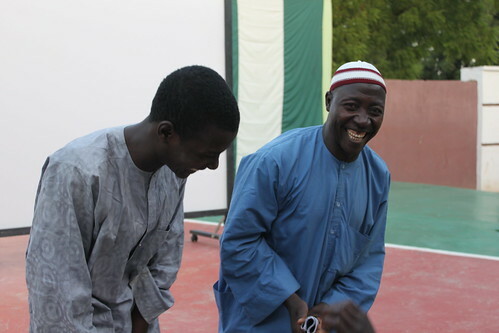 Nasiru B. Mohammad who had trained the boys in scriptwriting and directing, did not make the screening, but when I arrived at the Goethe Institut, Auwal Kabir Indabawa, the Kannywood cinematographer and editor who taught the boys how to use the camera and had edited the film, was already there. He seemed to have become something of a mentor to the boys, guiding them as they prepared for the screening, listening to their ideas and making suggestions about how to present themselves to the crowd. He stayed with them until the end of the show. He described to me how he would leave their mistakes in and then teach them during the corrective editing process how they could improve next time they make a film. Beyond a project for the almajirai to tell their own stories, the training the boys received opened up a potential career in film to them, a possibility the boys I spoke to expressed an interest in. 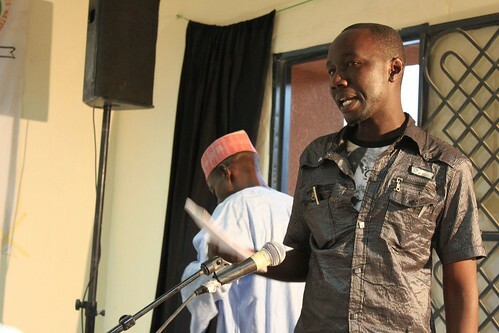 During the time for feedback after the screening, Mustapha Musty called on the government to support these students for further education in filmmaking. Among other Kannywood practitioners who came to show their support were Bala Anas Babinlata, Hafizu Bello, Mustapha Indabawa, Lubabatu Mudaki, Maryam Sulaiman, Hajara Usman, and others. Also in attendance was the Commissioner for Information of Kano State and members of the Department of Mass Communication at Bayero University who had done initial training sessions with the boys. While this film is groundbreaking in the presentation of the stories of almajirai as told by themselves, there are still voices that are not completely heard in this story. 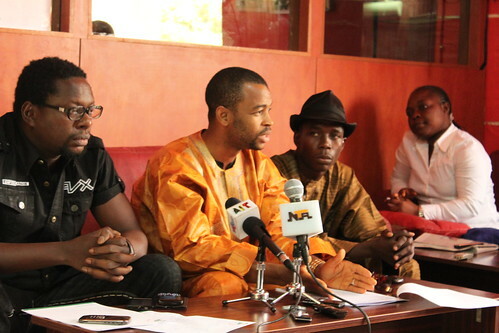 As male-centred as the almajiri system is, almost all of the women in the film were shown in a negative light. The selfish housewives who employ the boys were contrasted with the kind and fair-minded male shopowner who takes Aminu under his wings. In the making of the film itself, the boys most featured were teenagers, rather than the youngest and smallest boys who are often the most vulnerable. However, the representation of women might be explained by the fact that this film actually is from the eyes of these boys and that in work as domestic servants they likely interact with women most often. Similarly, the boys stage a conversation, where they critique the way the littlest boys are sent away from their parents, saying that parents who send small children should come and regularly check on them to make sure of their conditions. The film illustrates that the almajirai can both appreciate the benefits of and be critical of the problems of their system of education. Ultimately, the film reminded me of what drew me to the study of Hausa films in the first place, the way the industry gave ordinary people the power to tell their own stories. 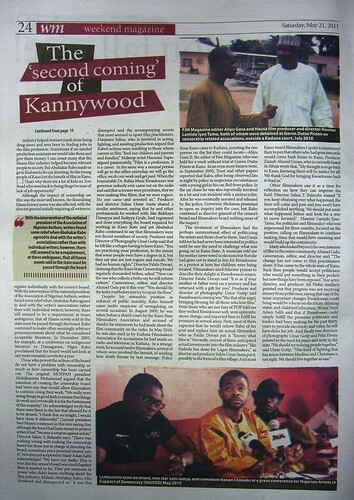 While Kannywood is a professional industry with a thriving star system, in projects of this sort, you can catch a glimpse of its roots and the exciting potential that a low budget film technology offers to the smallest and most often maligned members of society to tell their own stories and make their voices heard. First of all, another apology for such a long delay in updating this blog, which had to do 1) with my internet server going on a near 2-3 week near-shut-down, 2) travel to Lagos to present at a “Nollywood in Africa, Africa in Nollywood” conference hosted by Pan-African University, 3) the electricity going out in my neighborhood for 1 week and 1 day (in which case, the battery and inverter I celebrated in my last post, has it’s limitations. There has to be a certain amount of electricity for the thing to charge). 4) A nasty case of food poisoning, which put me out of operation for at least two good days. 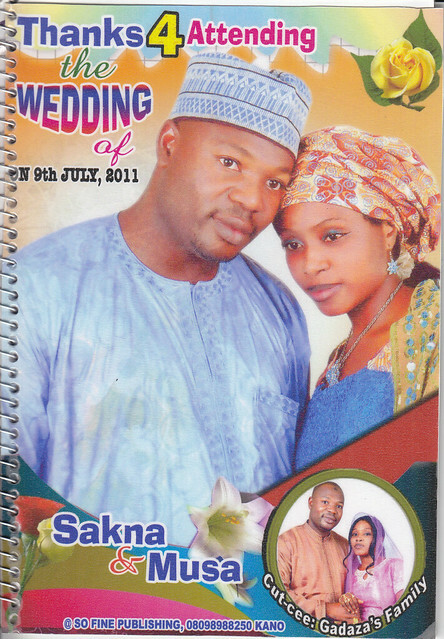 So, I am only just now posting this piece of Kannywood news, namely, the wedding of Hausa film actress Sakna Gadaza and Musa Bello on 9 July 2011. I attended two of the wedding events, an “Arabian Night” on 7 July, which I arrived scandalously late to even by “African-time” standards only about 15 minutes before the bride took off, partially because I was out shopping for the appropriate “Arabian” attire. 2) The dinner on 8 July, which I arrived on time for and got lots of photos. I have more photos not yet uploaded to flickr that I may add as I have internet time, so stay tuned for more pics. Inna lillahi wa inna ilaihirraji’un. I’m always reluctant to post news like this. It’s bad news, and I don’t like to bear it. The Hausa film star, Maryam Umar Aliyu, who retired from acting after she married actor and musician Misbahu M. Ahmed in December 2009, died yesterday in Kano. This is one in a long string of Kannywood deaths in the last few years, including actress Hauwa Ali Dodo (Biba Problem) in January 2010, Safiya Ahmed and director/actor Zilkiflu Mohammed in February 2010, actress Amina Garba (Mama Dumba) in November 2010, and just last month Baballe Costume, a film costumier. I did not know Maryam well, but I had met her on enough occasions to be completely shocked when I first found out on facebook yesterday of her death. I first met her in 2006, and the film I first remember her in is Dan Zaki. The most recent film of hers that sticks out in my mind is Sai Na Dawo. The image of her that stays with me was sometime in 2008, she came into Golden Goose Studio studio wearing long dangly earrings and a beautiful outfit–a mixture of glamour and good natured sweetness. She sat on the floor with the rest of us, laughing and talking. According to the Leadership article I will post below, she died yesterday from lingering complications of childbirth three months ago. She was still very young. Allah ya jikanta, ya rahama mata kuma allah ya sa Aljanna makoma ita. 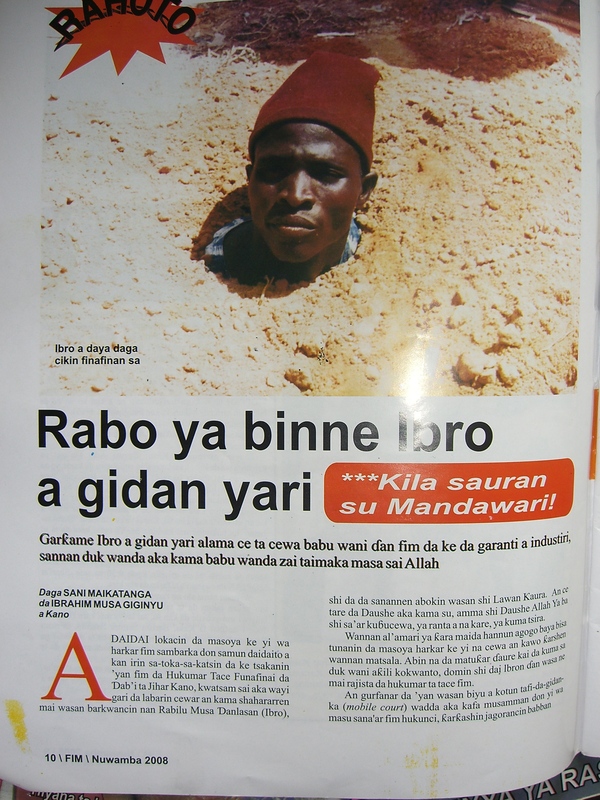 Allah ya ba mu hakuri. A prominent ex-Hausa film actress, Maryam Umar Aliyu (aka Maryam Kumurci), has died. The actress died yesterday afternoon in Kano after a protected illness.Until her death, She was the wife of renown playback singer, Musbahu M Ahmed. LEADERSHIP also gathered that she died at a private hospital in Kano where she had been battling with complications arising from childbirth. She was said to have delivered of a stillborn baby three months ago. Burial rites for the deceased was conducted at her family’s residence located at Gwammaja quarters. Just as she was later buried according to Islamic rites at Kofar Mazugal cemetery. The late Maryam began her filmmaking career in early 2000s and rose to stardom by 2005. 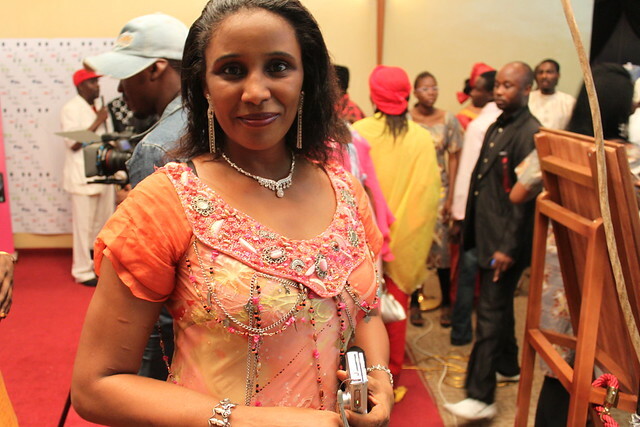 She featured in several Hausa home videos including Khudsiyya and Jani. 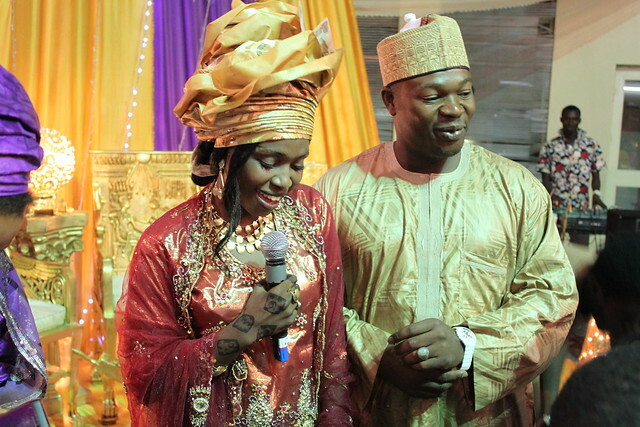 She later got married to an actor, Sha’aibu Lawal (alias Kumurci), following the death of his bride, Balaraba Mohammed. Maryam’s relationship with the actor earned her the same sobriquet as him; kumurci. 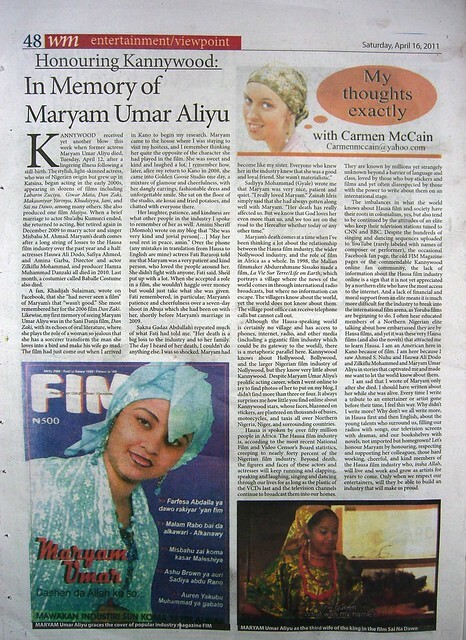 Saturday, 16 April 2011 00:00 Carmen McCain. Kannywood received yet another blow this week when former actress Maryam Umar Aliyu died, Tuesday, April 12, after a lingering illness following a still-birth. The stylish, light-skinned actress, who was of Nigerien origin but grew up in Katsina, began acting in the early 2000s, appearing in dozens of films including Labarin Zuciya, Giwar Mata, Dan Zaki, Makauniyar Yarinya, Khudsiyya, Jani, and Sai na Dawo, among many others. She also produced one film Majiya. When a brief marriage to actor Shu’aibu Kumurci ended, she returned to acting, but retired again in December 2009 to marry actor and singer Misbahu M. Ahmad. Maryam’s death comes after a long string of losses to the Hausa film industry over the past year and a half: actresses Hauwa Ali Dodo, Safiya Ahmed, and Amina Garba, Director and actor Zilkiflu Mohammad, and producer Hamza Muhammad Danzaki all died in 2010. Last month, a costumier called Baballe Costume also died. A fan, Khadijah Sulaiman, wrote on Facebook, that she “had never seen a film” of Maryam’s that “wasn’t good.” She most remembered her for the 2006 film Dan Zaki. Likewise, my first memory of seeing Maryam Umar Aliyu was in the Sani Danja film, Dan Zaki, with its echoes of oral literature, where she plays the role of a woman so jealous that she has a sorcerer transform the man she loves into a bird and make his wife go mad. 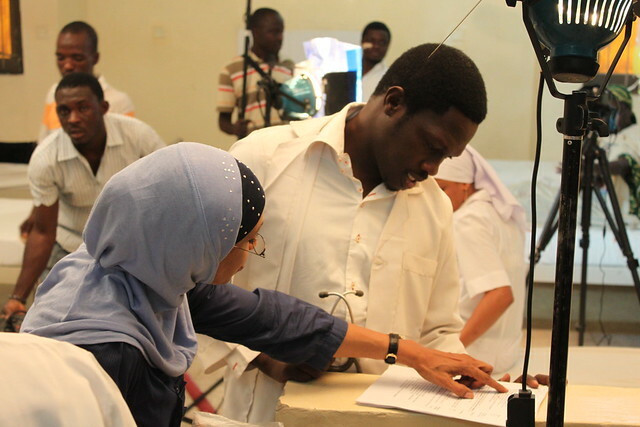 The film had just come out when I arrived in Kano to begin my research. Maryam came to the house where I was staying to visit my hostess, and I remember thinking her quite the opposite of the character she had played in the film. She was sweet and kind and laughed a lot. I remember how, later, after my return to Kano in 2008, she came into Golden Goose Studio one day, a mixture of glamour and cheerfulness, with her dangly earrings, fashionable dress and unforgettable smile. She sat on the floor of the studio, ate kosai and fried potatoes, and chatted with everyone there. Her laughter, patience, and kindness are what other people in the industry I spoke to remember of her as well. 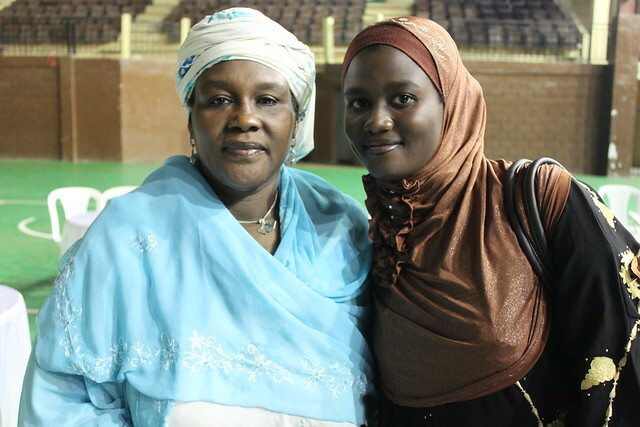 Aminu Sheriff (Momoh) wrote on my blog that “She was very kind and jovial person[…] May her soul rest in peace, amin.” Over the phone (any mistakes in translation from Hausa to English are mine) actress Fati Bararoji told me that Maryam was a very patient and kind person, who loved the people around her. 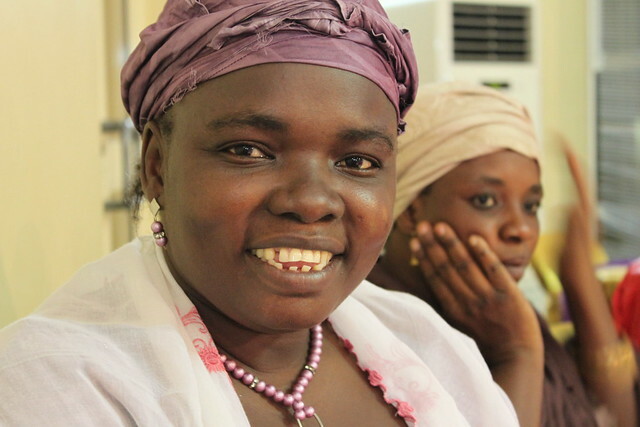 She didn’t fight with anyone, Fati said. She’d put up with a lot. When she accepted a role in a film, she wouldn’t haggle over money but would just take what she was given. 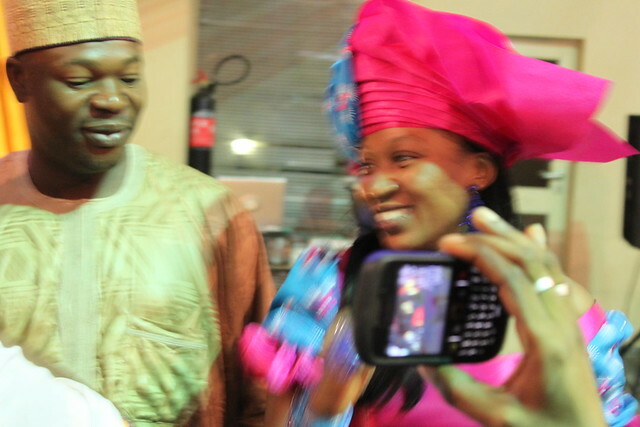 Fati remembered, in particular, Maryam’s patience and cheerfulness over a seven-day shoot in Abuja which she had been on with her, shortly before Maryam’s marriage in 2009. 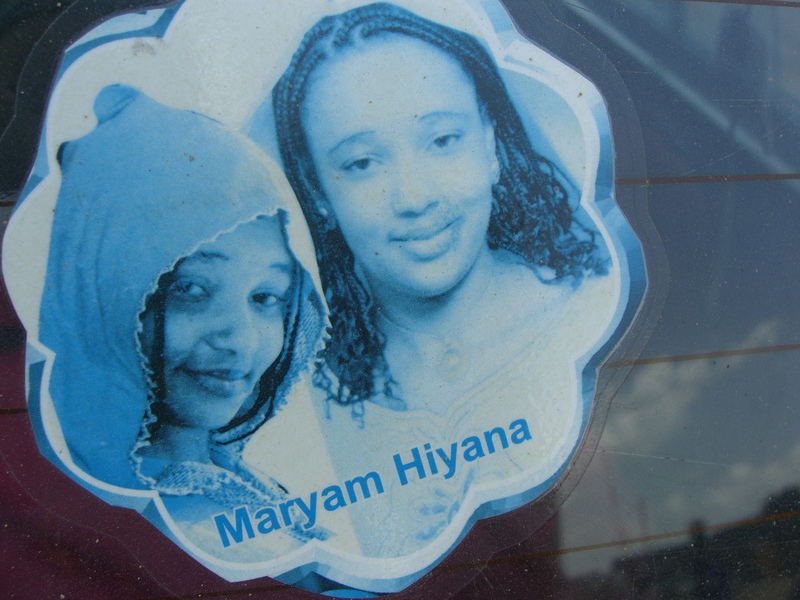 Maryam’s death comes at a time when I’ve been thinking a lot about the relationship between the Hausa film industry, the wider Nollywood industry, and the role of film in Africa as a whole. In 1998, the Malian filmmaker Abdurrahmane Sissako made a film, La Vie Sur Terre/Life on Earth, which portrays a village where the news of the world comes in through international radio broadcasts, but where no information can escape. The villagers know about the world, yet the world does not know about them. The village post office can receive telephone calls but cannot call out. Although the Hausa-speaking world is certainly no village and has access to phones, internet, radio, and other media (including a gigantic film industry which could be its gateway to the world), there is a metaphoric parallel here. 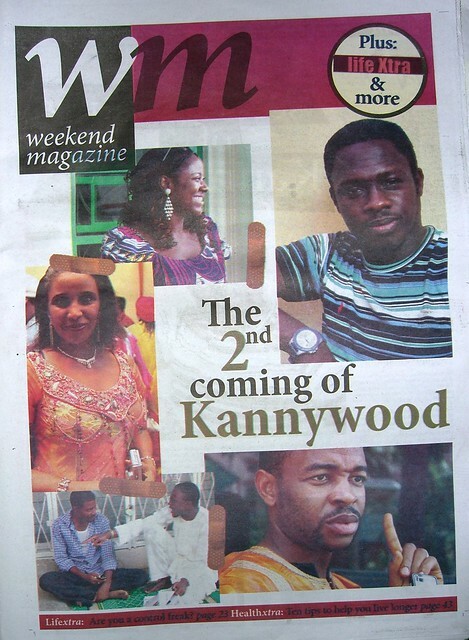 Kannywood knows about Hollywood, Bollywood, and the larger Nigerian film industry of Nollywood, but they know very little about Kannywood. 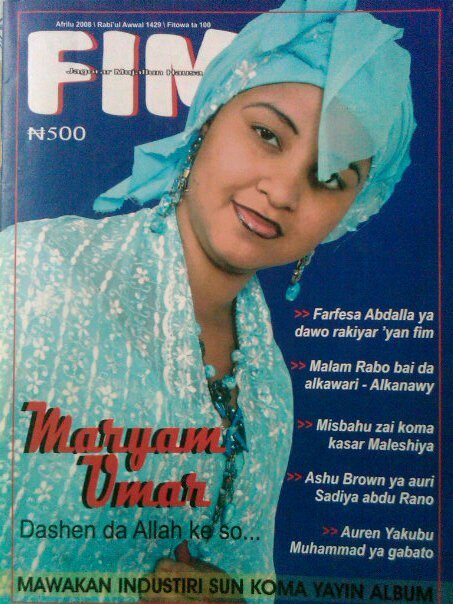 Despite Maryam Umar Aliyu’s prolific acting career, when I went online to try to find photos of her to put on my blog, I didn’t find more than three or four. 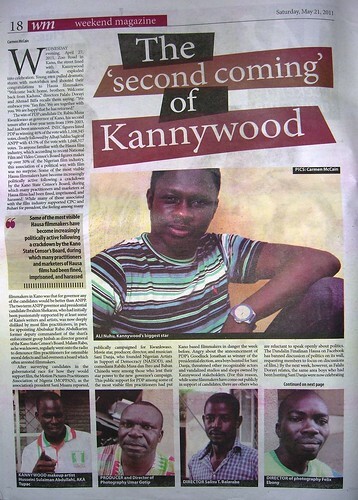 It always surprises me how little you find online about Kannywood stars, whose faces, blazoned on stickers, are plastered on thousands of buses, motorcycles, and taxis all over Northern Nigeria, Niger, and surrounding countries. 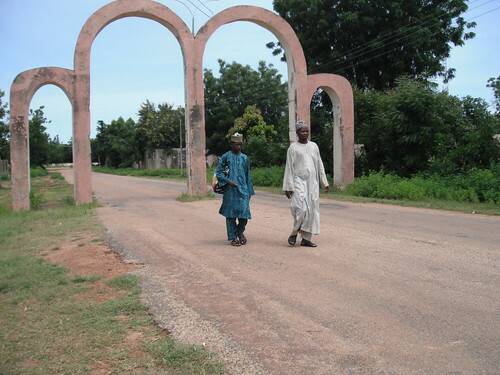 Hausa is spoken by over fifty million people in Africa. 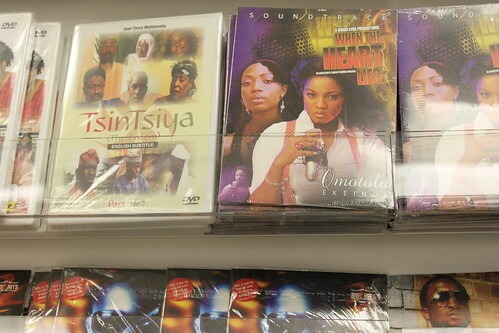 The Hausa film industry is, according to the most recent National Film and Video Censor’s Board statistics, creeping to nearly thirty percent of the Nigerian film industry. Beyond death, the figures and faces of these actors and actresses will keep running and clapping, speaking and laughing, singing and dancing through our lives for as long as the plastic of the VCDs last and the television channels continue to broadcast them into our homes. They are known by millions yet strangely unknown beyond a barrier of language and class, loved by those who buy stickers and films and yet often disrespected by those with the power to write about them on an international stage. The imbalances in what the world knows about Hausa film and society have their roots in colonialism, yes, but also tend to be continued by the attitudes of an elite who keep their television stations tuned to CNN and BBC. Despite the hundreds of singing and dancing sequences uploaded to YouTube (rarely labeled with names of composer or performer), the occasional Facebook fan page, the old FIM Magazine pages or the commendable Kannywood online fan community, the lack of information about the Hausa film industry online is a sign that it is not yet appreciated by a northern elite who have the most access to the internet. 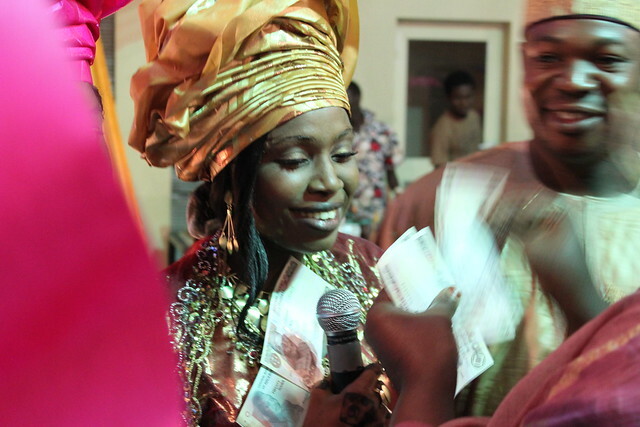 And a lack of financial and moral support from an elite means it is much more difficult for the industry to break into the international film arena, as Yoruba films are beginning to do. I often hear educated members of a Northern Nigerian elite talking about how embarrassed they are by Hausa films, and yet it was these very Hausa films (and also the novels) that attracted me to learn Hausa. 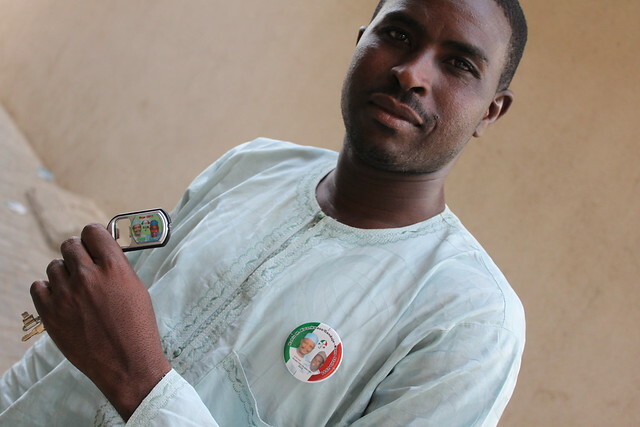 I am an American here in Kano because of film. I am here because I saw Ahmed S. Nuhu and Hauwa Ali Dodo and Zilkiflu Mohammed and Maryam Umar Aliyu in stories that captivated me and made me want to let the world know about them. I am sad that I wrote of Maryam only after she died. I should have written about her while she was alive. Every time I write a tribute to an entertainer or artist gone before their time, I feel this way. Why didn’t I write more? Why don’t we all write more, in Hausa first and then English, about the young talents who surround us, filling our radios with songs, our television screens with dramas, and our bookshelves with novels, not imported but homegrown? Let’s honour Maryam by honouring, respecting and supporting her colleagues, those hard working, cheerful, and kind members of the Hausa film industry who, insha Allah, will live and work and grow as artists for years to come. Only when we respect our entertainers, will they be able to build an industry that will make us proud. 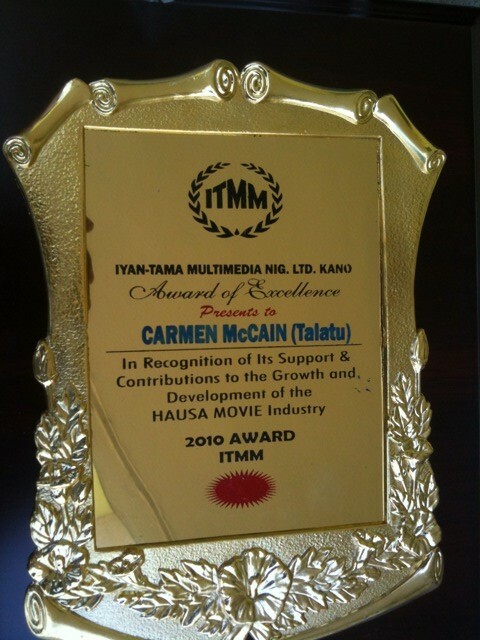 I was very humbled and honoured last week, 25 October 2010, to be honoured along with many other journalists and media houses with an Iyan-Tama Multimedia Award in Recognition of Support and Contribution to the Growth and Development of the Hausa Film Industry. I was also very grateful to Professor Abdalla Uba Adamu who collected the plaque and certificate for me, in my absence, and sent me photos on his phone. I hated to miss the event, but I was glad to hear about it from so many friends who had also received the award. 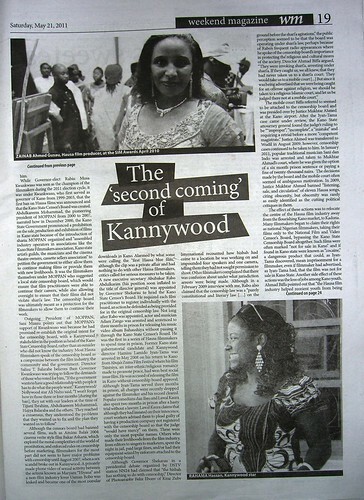 Kannywood Online, who also received the award, also has their plaque and certificate on display at their site. 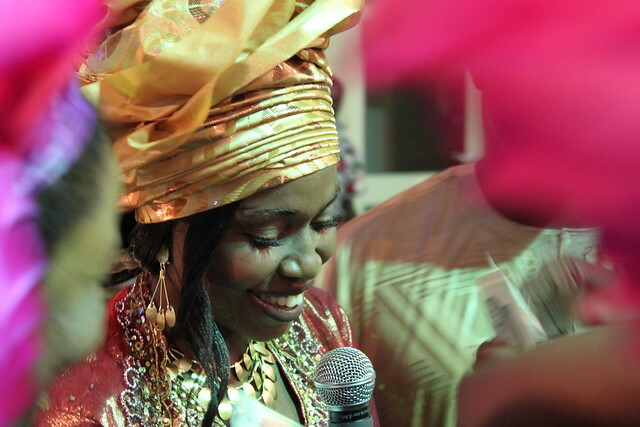 CHIOMA RITA ODILI, who was at the event writes:Iyan-Tama Multimedia is one of the oldest film production outfits in the sprawling Hausa film industry largely based in Kano , known as Kannywood. It was established 13 years ago and through its usually qualitative and meaningful productions as well as innovative stands, has contributed immensely to the growth of the industry till date. It is therefore with great jubilation that Iyan-Tama Multimedia called on all and sundry to witness its 13th anniversary as well as to celebrate 20 years of the existence of the film industry. 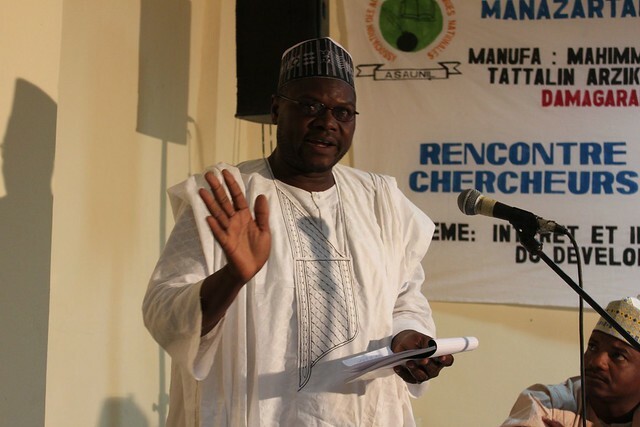 The event, which took place at Mambayya House in the heart of Kano , was attended by eminent personalities including traditional leaders, members of the diplomatic corps, journalists and filmmakers. Several awards were presented in different categories to corporate bodies, diplomatic missions, media houses and individuals who contributed in various respect to the development of Kannywood in its two decades of existence. 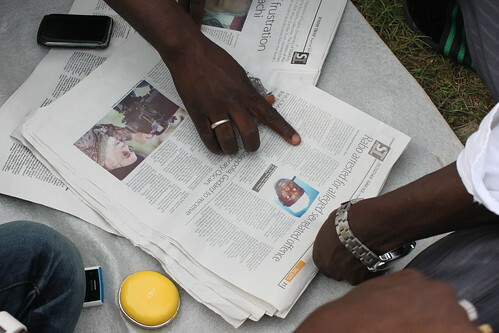 Those who were presented with merit awards, at the well-attended ceremony, include the two titles of LEADERSHIP Newspapers Group; LEADERSHIP and LEADERSHIP HAUSA. 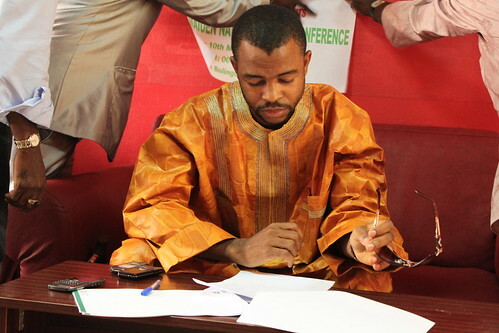 Editorial director of LEADERSHIP and publisher of FIM Magazine, Malam Ibrahim Sheme was among those honoured under the ‘Dignitaries’ category alongside others including former Kano State governor, Engineer Rabiu Musa Kwankwaso, Professors Isa Odidi and Abdalla Uba Adamu [see also his blog -CM], Hajiya Laila Dogon Yaro, Ms Carmen McCain, among others. Other staff of LEADERSHIP who were presented with certificates of merit in recognition of their contribution included Al-amin Ciroma, Nasir S Gwangwazo, Abdulaziz Abdulaziz and Maje Elhajeej. In this category, several journalists from various media houses were also conferred with the merit award including Rukayya Y Aliyu (Sunday Trust), Bashir Yahuza (Aminya), Nasir Salisu Zango (Freedom Radio) and Sani Maikatanga (former editor of FIM magazine), and host of others. Moreover, 19 other media organizations including foreign radio stations, TV stations, newspapers and a magazine also received awards at the colourful event. Those who were honoured in this category include Freedom Radio, Gamji TV, Desert Herald, Almizan and Hausa services of BBC, VOA, Radio Germany and Radio France International. Similarly, the embassies of United States and France were also awarded for their support to the development of Kannywood through cultural diplomacy. Moreover, Non-governmental Organisations (NGOs), including the Nigeria Union of Journalists (NUJ), Nigeria Bar Association (NBA), Security Justice and Growth (SJG), as well as the Society for Family Health (SFH), were also among the recipients. In his address, the keynote speaker, Professor Abdalla Uba Adamu who traced the development of Kannywood, vis-à-vis the Iyan-Tama Multimedia, said Kannywood came into being exactly 20 years ago with the release of Turmin Danya as the first Hausa video film. He pointed out that at the time of establishment of Kannywood, there was no similar industry in the whole of Africa, including the now bustling Nollywood. According to the academic, Iyan-Tama Multimedia Limited has played key roles and contributed immensely in the 20th years of its existence. Notable contributions of the company to the development of Hausa filmmaking is its procurement of modern equipment to boost the level of quality of the movies. Prof Abdalla recalled that Iyan-Tama Multimedia was the first to acquire a PSR-220 which enabled introduction of song scenes in the movies with the recording of “Badakala”, a song which featured in a movie of the same title. 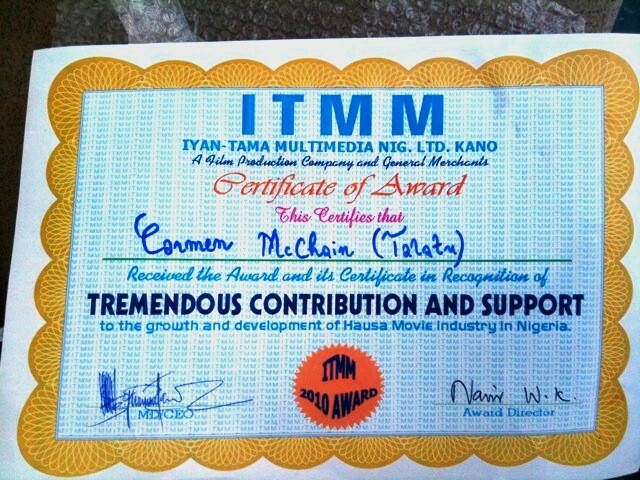 He said, other achievements recorded by Iyan-Tama Multimedia include; the publication of the, now rested, entertainment magazine, Tauraruwa, production of several meaningful films that appeal to all categories of viewers, the first company to stop using songs in Hausa movies despite the obvious appeal. The company, according to the don, was also the first to be sponsored by diplomatic initiative (Tsintsiya, 2008) and the first Kannywood film production company to have its film premiered at the Toronto International Film Festival. It is also the company with the highest number of awards in its kitty in the whole of the industry. 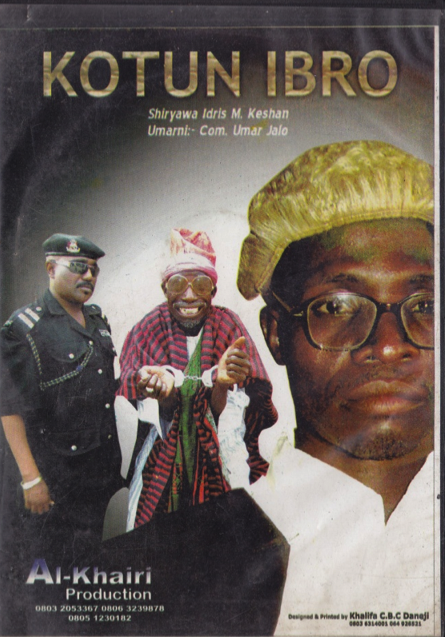 Readers may remember that the director, producer, and actor Alhaji Hamisu Lamido Iyan-Tama has recently been cleared of all charges, after a drawn out series of court cases filed against him by the Kano State Censorship Board and Iyan-Tama’s own countersuits against the board, following Iyan-Tama’s imprisonment for three months after a trial with a judge later found to be “incompetent” by the Kano State Attourney General. The award ceremony is a particularly poignant way to celebrate the ending of the legal woes of Iyan-Tama Multimedia.